Employee retention strategies are all about valuing people and understanding how to motivate employees. The “strategy” is in learning what employees value. What do they need? What do they want? How can you help the employee? Everything Disc Workplace can help with that. It will help you understand what it is that different people want. Peer-to-peer motivation is one of the strongest tools that any organization has. And that’s where a, “My Favorites Book,” comes into play. Second line, candy, not chocolate. Fourth line, fast food restaurant. Fifth line, casual dining restaurant. Beverage, not soft drink, not alcohol. Let’s say I want to do something nice for Bob. 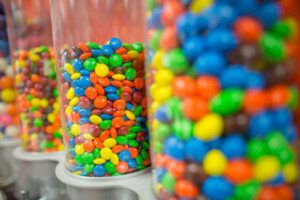 I would just grab the “My Favorites Book” and see that Bob’s favorite candy Peanut M&M’s. So I may go out and buy a pack of Peanut M&M’s to say, “Hey Bob, thanks for all the effort, I appreciate what you did.” Whereas, if I gave him an Almond Joy, he may not like coconut. The great thing is that the “My Favorite’s Book” works across the board, from employee to employee and gets everybody involved. Getting everybody to feel like a family. Creating a sense of community. That’s absolutely critical, but it’s not about one person, it’s not about one thing, it’s not a silver bullet. It’s a multi-faceted approach to retaining employees that involves everybody.